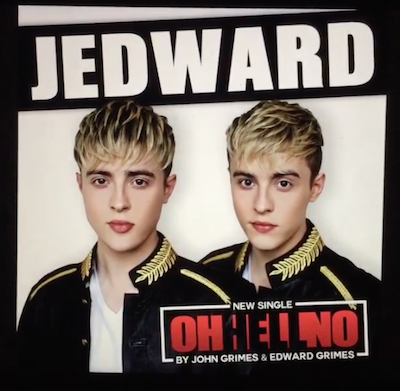 John and Edward have released their brand new video ‘Oh Hell No!’ Much to the delight of their many fans. The video, inspired by the TV Movie ‘Sharknado:Oh Hell No,’ in which the talented twins appear, sees the duo rapping, whist engaged in a full blown fist fight. The pair haven’t rapped in a song since their hit single Under pressure|Ice Ice Baby, which shot to number 2 in the UK charts.